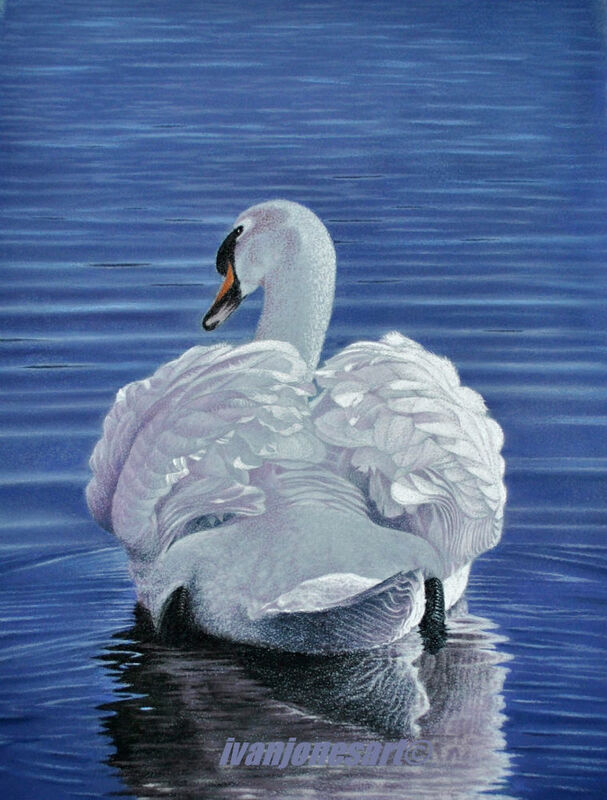 This swan was photographed by a friend on the Norfolk Broads and I have reproduced in pastel. The detail of the feathers and water highlight the majesty of this very special bird. This painting is sold framed and delivered by courier to avoid damage. Quality and satisfaction assured. I am a retired vet who has become a pastel artist. I was introduced to pastels as a teenager by a friend of my father’s and in fact I still have my first set of pastels. I have completed a large number of works in the past 15 years, many of which can be seen on my website. I work from photographs and undertake commission work as well as create artwork in a wide range of subject matter. My commission work has a guarantee of satisfaction . Detail is of importance to me and each work takes 20 to 30 hours to complete. I admire the work of many artists including the Impressionists, David Shepherd, Simon Coombes, Rolf Harris and many of my contemporaries. I have exhibited widely within Herefordshire and have work currently at Sable and Hogg in Brecon.